iMessage is indeed one of the very popular instant messaging services worldwide. This service is exclusive to iOS mobile devices and Mac computers. While iMessage is most widely used on iPhones, there are many who use it on Mac as well. If you have a Mac computer, you don’t necessarily have to buy an iPhone or any other iOS device to use iMessage; you can run it all by itself. This is exactly what we are going to discuss in this article. 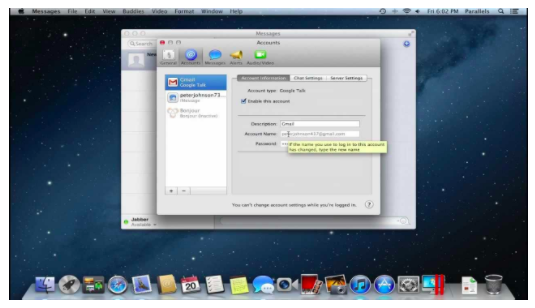 In order to use iMessage on your Mac you must have OS X 10.1 or later OS version on your computer. It will be all the more amazing if you have one of the latest Mac OS on your machine. Nevertheless, it will work on anything that is not older than 10.1. Hardware specs for using iMessage aren’t very demanding. You need to have at least 1GHz processor, minimum 512MB RAM an at least 200 MB free space on the hard drive. There is a pretty good chance you already meet minimum system requirements. You will now see the iMessage sign in window. Here, you need to sign in with your Apple ID and Password. Enter the details in the appropriate fields. If you don’t have an Apple ID yet, you can click ‘Create new Apple ID…’ on the bottom. Also, please note that if you have enabled the two-factor authentication then you will also need to enter the verification code after providing the Apple ID and password. 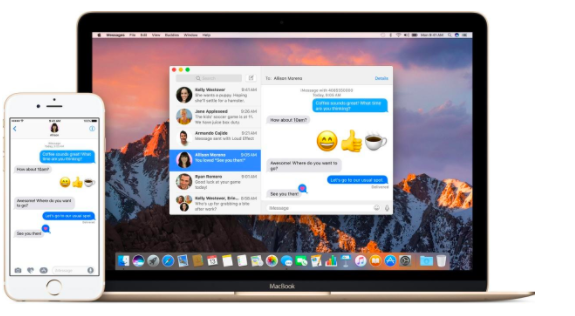 Now you will have access to iMessage on your Mac. But, we still need to set it up completely. From the menu bar on the top on Mac, click Messages and then select ‘Preferences’ from the dropdown menu. Here, check the email address which you would like to associate with iMessage. If you haven’t attached any email address, click ‘Add Email’ and enter the email address which you would like to receive iMessages on. Note that we are not using any phone number here. This is because there is no iPhone with a phone number. In case you have an iPhone, you can add that phone number here as well. But, you must be signed in with the same Apple ID on both the devices. You have now successfully set up iMessage without iPhone or any other iOS device. You can launch the iMessage app and send the message to other iMessage users. So, we conclude that it is possible to use iMessage on Mac OS without the iPhone.